With so many options for so many different trucks out there, it’s hard to make a decision. It’s even harder when options like DEF trucks get thrown in. While considering how the engine meets your needs, how sturdy and reliable the frame and chassis was, and how comfortable the truck is for long hauls, now you have more options to consider. DEF Trucks are a great option for environmentally friendly travel, performance, and ease of use. DEF stands for Diesel Exhaust Fluid. Fluid is comprised of urea and de-ionized water. It is colorless and odorless, and it is safe and easy to use. 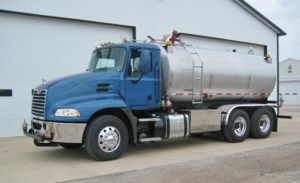 It reduces nitrogen oxide from escaping into the atmosphere and is an environmentally friendly option for diesel trucks. 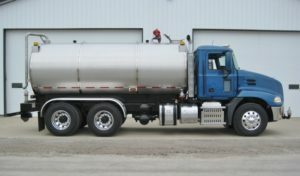 A separate tank stores DEF and is mixed with diesel truck exhaust. This creates an overall emission change from harmful to basic nitrogen and water. The EPA requires that vehicles capable of running with DEF (those with selective catalytic reduction) do run with it. This reduces harmful emissions we put into the atmosphere. What are good reasons to use DEF? While the EPA pushes you to use it, it doesn’t always translate into wanting to purchase a truck that is equipped. Is it a hassle? Is it going to cost more money than it’s worth? What about performance? These are questions that you’re asking yourself right now. Luckily, a truck equipped to use DEF isn’t a big burden for you. It is a little different than you’re used to, but is a welcome addition to your budget and performance. Nothing specific needs bought to use DEF. All you need is a DEF tank, to fill it with fluid, and to wait for the rest. No need to worry about it. Why not do it and help reduce harmful emissions? While it costs a little more than usual for start up (one tank of DEF is about the same as a tank of fuel, but the DEF tank will last for almost 500 miles), it is a good investment. Keep up with the times and make sure the environment stays healthy for everyone. If it helps the environment, will performance suffer? The answer is: no! Using DEF actually helps you with enhanced performance. When you reduce emissions, you also gain horsepower. This is great for your engine’s performance, and it makes you a happy camper as well. DEF is not going to make your truck a smart car, but it is going to bring it a step into the future. As mentioned, while a tank of Diesel Exhaust Fluid costs you about the same as a tank of diesel fuel, it lasts for a long time–almost 500 miles. This makes filling up less frequent and is not a drain on your finances. But it’s still an extra cost, right? Well, think of it this way. It’s a very cheap way to consistently reduce your nitrogen oxide emissions by almost 90%, and there are surely more expensive ways to do so. The environment sustains us, and we have a responsibility to make sure it stays nice for our children. If it takes the price of a tank of fuel every 500 miles, it is worth it. If Diesel Exhaust Fluid is right for you, it’s time to contact us at Osco Tank & Truck Sales. We answer any questions that you have about DEF Trucks and we get you set up with your own. Contact us today!